Here in Sweden there is a company named MLB Models Asia and they are the main distributor of Motorart in Scandinavia. They are also the main distributor for Spec-Cast and Oxford Diecast aswell. Anyway they have started to make own models and the first one out is the Kalmar DCE 160 forklift. I heard about this model months ago but I wasnt allowed to post any pics I got of it. But now it is OK to do so. So this is how far the prototype has been finished. Looks to be a killer! It is in 1:50th scale. Is this Model Diecast ? Looks great. Would it look good in Cat yellow? ERic-you took the words right out of my mouth-where to get one?? do the forks move ? 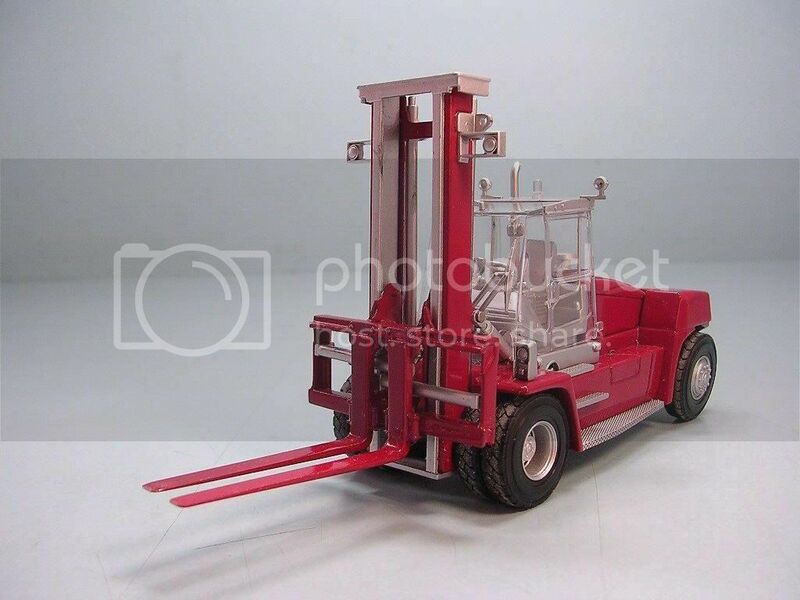 This is a Kalmar forklift, it is supposed to be Red! I know but you could repaint it yellow to make it look like a caterpillar machine. Some people have repainted 1:50 forklifts in Cat yellow and they look great.